The RRC has 158 oil and gas field inspectors. They average more than 123,000 inspections each year and are expected to conduct 130,000 inspections in fiscal 2019. The Plan explains the methods of enforcement for RRC rule violations: Notices of violation, seals/severances, permit actions, administrative penalties, and revocation of authority to operate. 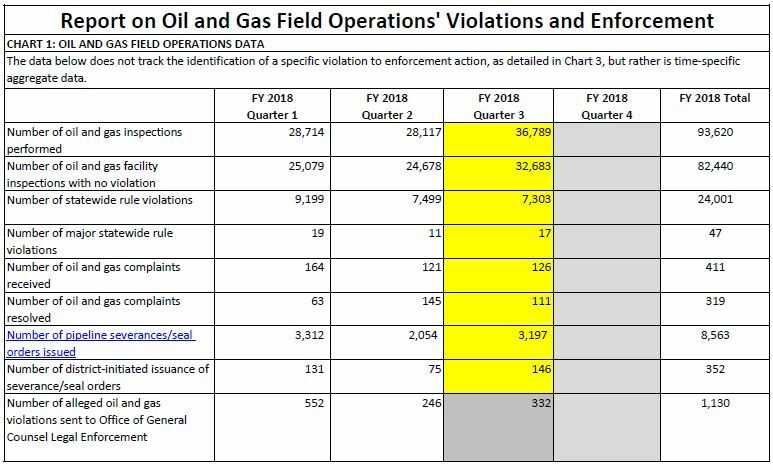 The RRC is also digitizing historical hearing files from 1935 to June 2011, and will be searchable and online,including oil and gas enforcement cases, new field discoveries, and establishment of field rules.The goal is to have this done in FY 2019. According to the announcement, more than 3,770 linear feet of paper documents will be digitized.